Every skilled hunter and camper needs the right buddy with them. No, we aren’t talking about friends or even a dog, we are talking about the equipment that keeps all of your necessities with you—the backpack. At GrabAGun, we understand the importance of having the right camping pack to fulfill your needs, so we offer one of the best selections of camping packs available online. If you’ve done any sort of hiking, you’ll know that weight can add up quick when packing your gear. Having a sturdy, yet lightweight pack is what every hiker ideally wants. GrabAGun has a variety of packs that fit well within this mold, including several different styles to help distribute the packed weight according to your individual needs. 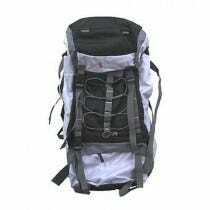 Many of our Alps and Chinook packs have enough variance among products to offer the right camping pack for the specific hiker. In addition to common hiking packs, GrabAGun offers a selection of duffel bags that will make a great way to carry all of your hiking needs. For those campers who aren’t hiking deep into the woods on long trails, a duffel makes a fine way to tote your gear around. GrabAGun also carries dry bags to keep your electronic, medical, and other supplies safe from water damage. GrabAGun offers a variety of packs for campers of every skill level. We also carry bag tags for the camper who travels among others. When you need a camping pack or bag for your outdoor experience, let GrabAGun be your source to make sure you can carry all of your gear together and keep it safe.